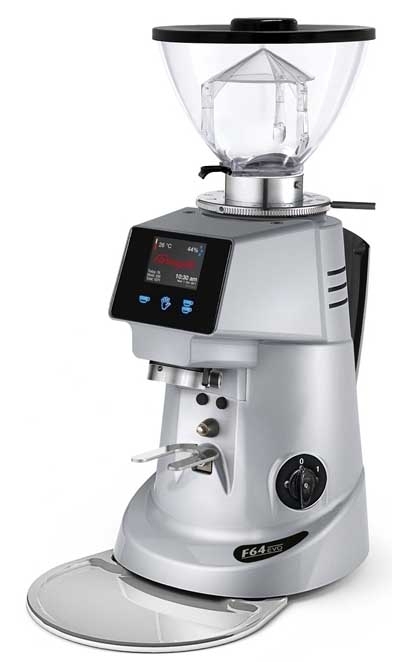 Stepless grind adjustment, the continuous micrometic finess adjustment on this Fiorenzato coffee grinder offers the most precise settings possible. 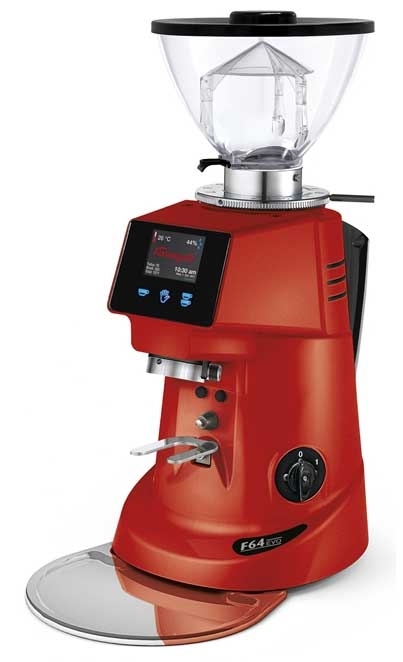 Large Color Touchscreen display includes the Fiorenzato coffee grinder's CapSense technology. CapSense is an innovative and intuitive interface the works in conjunction with the touchscreen display. In addition to controlling the grinding functions, the display show statistics and the # of hours before the burrs need replacement. Humidity and temperature are also displayed. 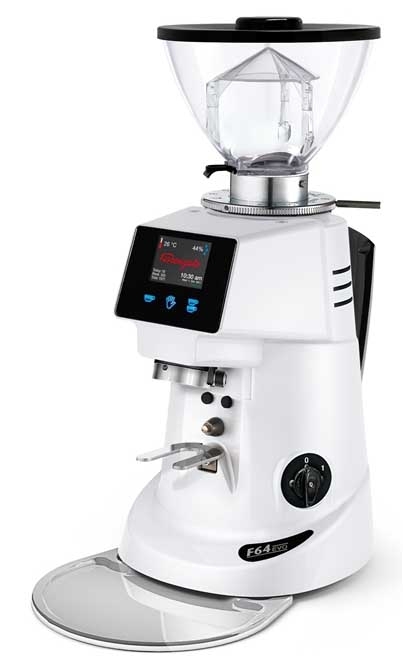 Doserless, the F64 provides measured, clump-free grinding directly into the portafilter. Super fast, easy to adjust! Perfect doses every time.